The Māori Reference Group (MRG) was originally established to advise the Taskforce for Action on Violence within Families. In 2008 they developed and published the first E Tū Whānau Programme of Action following extensive kōrero within Te Ao Māori. The MRG now provides strategic advice to the E Tū Whānau initiative as well as having input into government policy that affects whānau, particuarly where there is violence. Roku Mihinui is the current Chair of the MRG. He is an Independent Contractor, including to the Te Arawa Lakes Trust, the post settlement entity established to manage the 14 lakes returned to Te Arawa under the Te Arawa Lakes Settlement Act 2006. This involves the provision of environmental, health, cultural, education and social services. He was part of the successful negotiation team for this treaty claim and held the position of CEO for a number of years. He also led the successful negotiations to return control of the Whakarewarewa village tourism business to his Tuhourangi Ngāti Wahiao people. Roku has held senior management positions in the forestry, tourism, justice and education sectors and in social services organisations in the community, public and private sectors. As a social worker, he specialised in child protection and youth justice and helped write and deliver the Bachelor of Applied Social Science Kaupapa Māori Degree at Waiariki Polytechnic. Roku is the son of the famous “Guide Bubbles”, proactively supports his children and mokopuna in their various interests and is known for his whānau centric approach within the workplace. Tā Mark Wiremu Solomon, (KNZM) is as an experienced and respected leader of his hapū, his iwi and the wider New Zealand business community. He has, for example, served as a member of both his local school board and the board of the Museum of New Zealand Te Papa Tongarewa (2001-2007), as trustee of Takahanga Marae in his home kainga of Kaikoura and as kaiwhakahaere of Te Rūnanga o Ngāi Tahu for nearly 18 years (1998-2016). Tā Mark is a strong advocate for the Māori. As a strong supporter of the E Tū Whānau kaupapa since its inception, Tā Mark is an outspoken advocate for violence free whānau. He believes a true rangatira is a servant of the people and reflects this in his role in helping establish the Iwi Chairs Forum in 2005 and his ambition of kotahitanga for Māori. 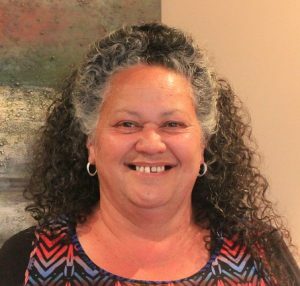 Katie Murray is the Kai Arahi of Waitomo Papakainga, a whānau-based and focused kaupapa Māori based social service agency in Kaitaia. Waitomo supports a wide range of programmes and activities including an Alternative Education class for students from the local high school; a second-hand shop providing affordable alternatives for whanau, and ‘Super Māori Fellas’, a group of tane who have taken a very public stand against violence. Katie is actively involved in her community of Te Hiku o Te Ika and has a degree in social work. She is Deputy Chair of Te Rūnanga o Te Rarawa as well as being the Chair of Te Hiku Social Accord. Katie is a straight talking, passionate and visionary Māori woman committed to the restoration of tino rangātiratanga for whānau, hapū and iwi. 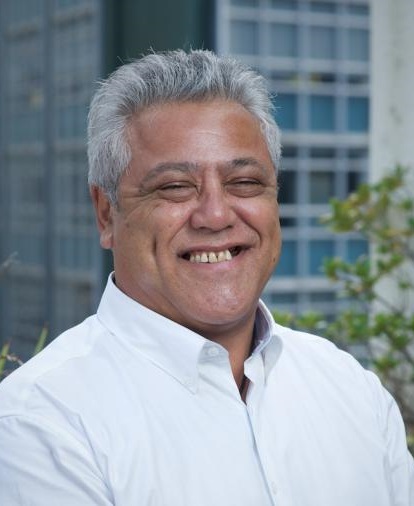 Toa Faneva is the CEO of Te Rūnanga o Whaingaroa which provides a range of services to the community including emergency housing, financial capability and social services. Under his leadership, the rūnunga has developed an innovative emergency and transitional housing complex on Whangaroa Harbour and an ambitious ‘Violence-Free Whangaroa/Kaeo’ kaupapa. Toa has leadership roles in a coalition of Māori providers from Tai Tokerau, the Northern place-based initiative, and plays a role in a range of iwi initiatives that provide advice to government. He is an energetic and passionate advocate for the E Tū Whānau kaupapa. Donna Matahaere-Atariki chairs the Otakou Rūnanga and the Ministry of Health NGO Council. She is also a member of the University of Ōtagō Council, Trustee of Well South Primary Health Network (PHO), Alternate for Te Rūnanga o Ngāi Tahu, and a Gambling Commissioner. Currently Donna is a Consultant GM Māori for Investing in Children, Oranga Tamariki and a Whānau Ora coach for Te Putahitanga o Te Waipounamu Whānau Ora Commission. 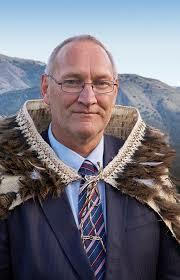 Richard Steedman has, over many years held a number of governance and management roles for the furtherance of the rangatiratanga of hapū and Iwi o Mōkai Pātea. 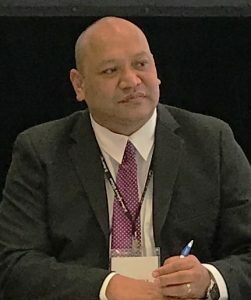 He is the chair of Te Rūnanga o Ngāti Whitikaupeka, a member of three iwi councils – Te Rūnanga o Ngāti Hauiti, Te Rūnanga o Ngāti Tamakopiri and Te Rūnanga o Ngāi Te Ohuake. 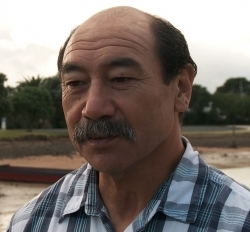 He is a member of the Whānau Ora Partnership Group and a member of the Iwi Chairs Forum. Richard sits on the board of Mōkai Pātea Services which works alongside the other providers in the region to provide wrap around Whānau Ora health, social and iwi / hapū development services to the whānau, hapū, iwi and community. 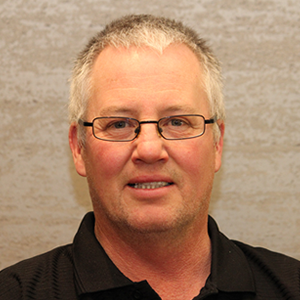 He has a strong professional interest in health research, tourism and conservation. 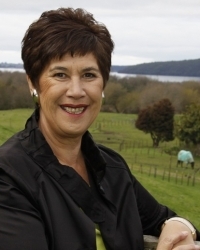 Haami Piripi has spearheaded key Māori development projects in the public sector and served as Chief Executive of the Māori Language Commission. He is an inaugural member of the Hiku-o-Te-Ika Social Wellbeing and Development Accord which monitors the delivery of social services in the Far North by 16 statutory agencies. Haami is an active participant in the Regional and National Iwi Chair Forum where he has chaired the Education and Social Sector Iwi Leaders Working Group. He is a leading advocate for the E Tū Whānau initiative to address family violence, which has been adopted as a national programme by MSD. Haami is a member of the Social Wellbeing Governance Group (Northland) which has been addressing the issue of youth suicide for the past three years and is now investigating vulnerable families. He has been engaged by the Minister of Education in the Cross Sectoral Forum on Raising Achievement Standards and is a member of the Ministerial Working Group on the roll-out of ultrafast broadband to New Zealand communities. He was also a Board member of Superu. Merepeka Raukawa-Tait is an elected member of the Rotorua District Council, Lakes District Health Board and a Trustee of her hapū, Ngāti Rangitihi Post Settlement Entity. 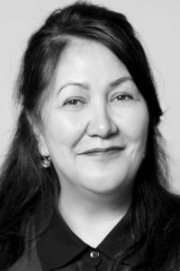 She has been actively involved with the establishment of Whānau Ora as the Deputy Chair of the Te Arawa Whānau Ora Regional Leadership Group and was appointed in 2013 to the Whānau Ora Governance Group. Merepeka has an MBA in International Management and has worked in the public, private and NGO sectors. Merepeka has been involved in community and Māori economic development for the past 20 years. She has been trustee/director of a number of Māori trusts and incorporations. She is known for her strong and outspoken stance against violence in the home believing that women and children have the right to live free from violence. Merepeka lives in her tribal area of Rotorua. 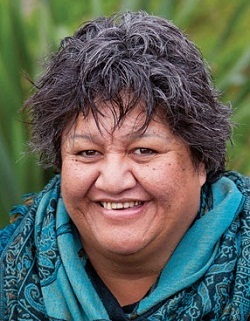 Ruahine (Roni) Albert is CEO of Waikato Womens Refuge, Te Whakaruruhau. She is one of a group of Maori women who helped to set up the first Maori Womens Safehouse in 1986, which still operates today. Te Whakaruruhau support men as they are released from prison, and their families, to reintegrate back into the community. They provide referral assistance with drug and alcohol programmes, securing employment, parenting, and advocacy. They also provide accommodation for up to three years.